The first method is to assign real or imaginary (random) height data to a convenient lattice. Then, an iteration process takes place (using fractal Brownian noise -- fBM) to define the heightfields between the primary lattice. The iterative process is known generally as the midpoint displacement method. 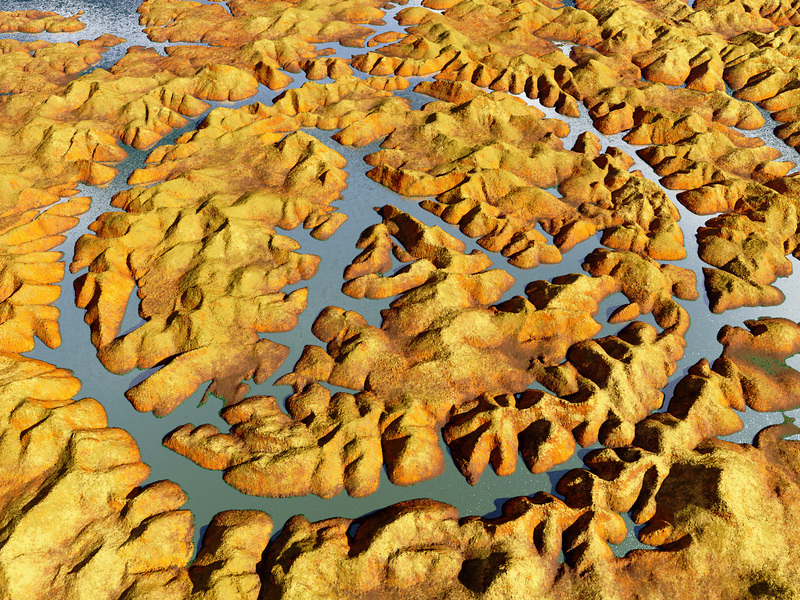 The roughness of the terrain is controlled by the fractal dimension (or Hurst exponent) assigned to the iterative process. 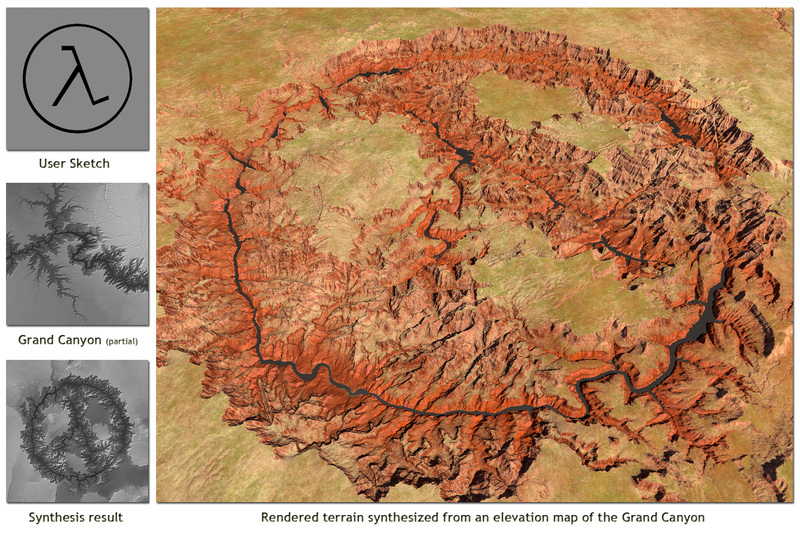 Once the data points are created via iteration, one can create polygons and render a landscape. The second method is to use fBM noise to generate a matrix of phase and amplitude data (complex numbers) in the frequency domain associated with Fourier methodology, then perform an inverse Fast Fourier Transform (FFT) to create a heightfield in the time (or space) domain of the Euclidean world. The transformed matrix is rendered after conversion to an array of polygons. This method is sometimes called Spectral Synthesis. 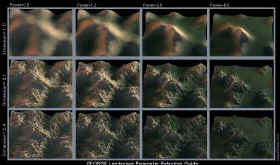 Spectral Synthesis provides a much more realistic landscape but is MUCH more computationally intensive. Furthermore, the method (at least to the limit of my understanding at this point) cannot iterate between points. The whole batch is done at once. A third set of methods are proposed in the Perlin/Musgrave book. 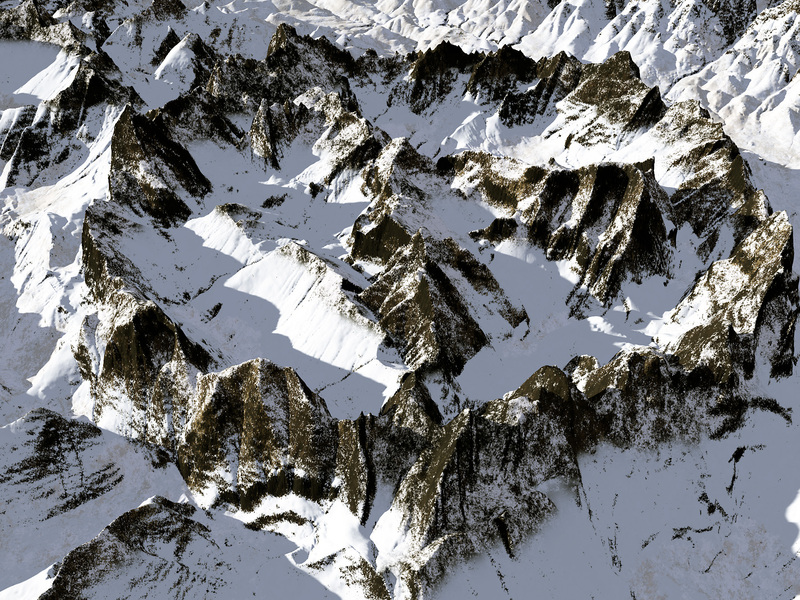 Here, the noise is generated by the Perlin noise function which basically uses a spline function. On the surface, this approach looks very promising for sparse bathymetric data, but these guys make it clear they are not interested in the real world of empirical height (bathymetric) data and offer no examples that incorporate real data. The "framework uses rivers as modeling elements. It first creates a hierarchical drainage network that is represented as a geometric graph over a given input domain. The network is then analyzed to construct watersheds and to characterize the different types and trajectories of rivers." 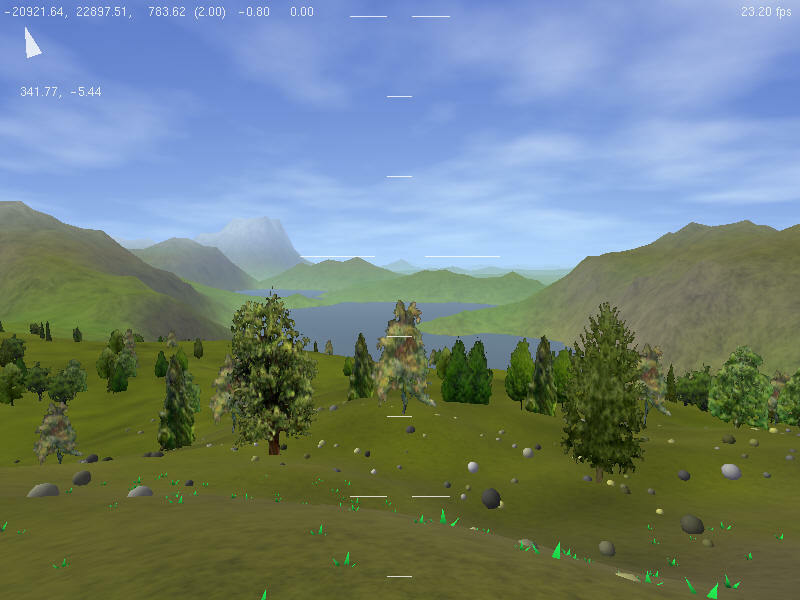 Describes a unique and powerful approach: instead of parametrically synthesizing, a heightfield is generated by assembling chunks of a real-world input. uses "the concept of projected grids to achieve near-optimal sampling of the landscape"
"One problem in the landform category is the simple task of modeling a rock - whether a boulder, rock outcropping, or basic constituent of a dry laid stone wall. These humble objects have geometries and surface detail not easily represented in any 3D modeling system, and simplified versions of them always seem just that -- oversimplified. 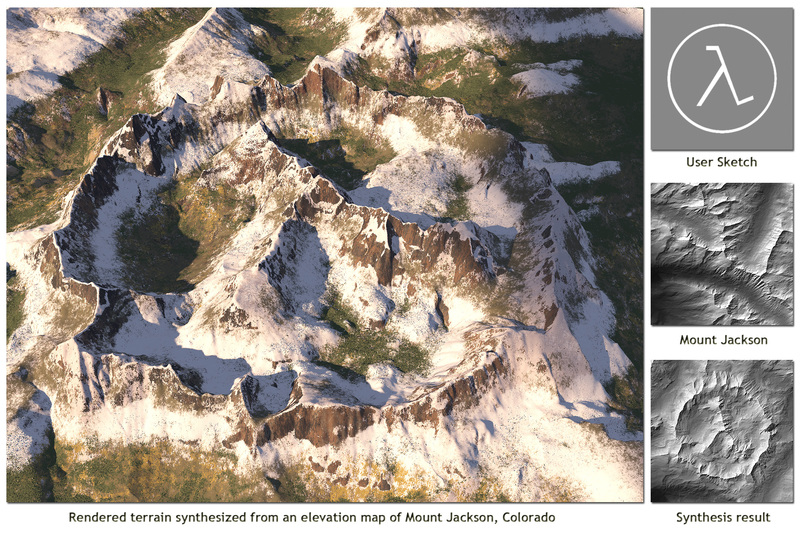 Photographic texture mapping , combined with bump -mapping on suitably formed 3D solids has been used for some rock models, to good visual effect." one example is Infinity. "Procedural universe: procedural programming is a technique to let the computer generate the game universe on-the-fly, in real-time on request, rather than manually building everything. Because of this, the generated universe can be absolutely huge. In Infinity, billions of worlds, most of them never explored by any player, are awaiting the adventurous soul."